As many of you know, I created Long Tail Pro about 5 years ago out of my own need to do keyword research more efficiently. What started out as a software idea that I believed would improve on what competitors were offering in the keyword research market has turned into a booming business with thousands of users. Although I have never shared the exact income from this business, I can simply say that it has been life changing for me. In fact, I felt like sharing some of the things that I've learned in bootstrapping, launching, and growing a software company is something that others would be interested in, so I started a 5 part series on how you can do the same. I've completed 3 of those blog posts so far: Part I, Part II, and Part III. I will get to parts 4 and 5 soon; however, today I feel like I need to share some major updates that have happened with the business itself and some major updates happening to the software…and why all of this matters to you. So, let's jump into the 7 big updates for Long Tail Pro! This is obviously a big one. I started Long Tail Pro with 100% my own money, strategy, and effort. I've been a 100% owner of the company since inception. However, I'm excited to share that I now have some new partners (part owners) in the business! 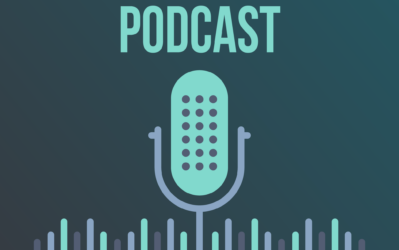 The reason this is exciting is because these new partners bring skills, expertise, connections, and business saavy that will make Long Tail Pro a better product for you and a bigger business. These partners are going to help me take the business to another level. This was obviously a huge decision for me and this deal has been in the works for months now. The decision was not easy to bring in partners as I've always run the business on my own and it has grown year over year for the life that it's existed. However, without going into too much detail, the decision to bring in partners was the right one for me at this time. I will simply say that I was compensated very well for the portion of the business that I gave up, and I firmly believe that these new partners will help grow the business even faster than I could on my own. However, even better than just growing the business, we are now able to implement changes and improvements to the software even faster than before. This is good news for you as the user! You can expect the software to continue to get better, faster, and more useful in the very near future. In fact, the remaining updates discussed below are all improvements that will impact you directly and can be attributed to the new direction my partners and I have decided on. 2. Bulk Check for Keyword Competitiveness! Can you believe that Long Tail Pro started without any kind of keyword competitiveness (KC) score when I launched the business? Things sure have come a long way since then! When I introduced the KC score and Long Tail Platinum a few years ago, it was an immediate hit. People loved the fact that they could check how easy or hard any given keyword would be to check in Google with just a click of a button. However, one of the biggest requests from day one from users was that they didn't want to click a button for each keyword! Some people are so lazy.. :). Actually, we knew all along that we wanted to have a way to check the KC score of ALL your keywords at once, rather than one at a time. However, there were some technology challenges that made it quite difficult to accomplish. Luckily, there have been some changes in the data sources we use that now make it possible to do a bulk keyword competitiveness check! In fact, in the last couple of weeks, we launched publicly the update for Long Tail Platinum that now allows all users to use check the KC score with one click! This is a huge update that users are already raving about. So, if you haven't had a chance to use Long Tail Platinum in the past couple of weeks, go ahead and open your software and check it out! Or if you haven't quite made the plunge to try out Long Tail Pro, you can get a trial right here. Long Tail University is a keyword research training and video course that I put a ton of time and effort into. In the course, I go very in-depth with not only how I use Long Tail Pro to find really easy to rank for keywords, but also how I create a full content plan and other important strategies for building a profitable website. I usually charge $197 for Long Tail University. However, I am now including it (essentially for free) for anyone that subscribes to the annual plan for Long Tail Platinum. I will discuss more below, but there is now both a monthly plan or annual plan option for Long Tail Platinum. If you opt for the annual plan, you get the in-depth keyword research training course, Long Tail University. The plan is to constantly add to Long Tail University, so that it expands even beyond the in-depth training that is already there. So, beyond keyword research, we will also cover more content strategies, on-site optimization, link building, and sharing exclusive case studies of successful websites. If you want to check out the pricing for the Long Tail Platinum Annual Plan (that includes Long Tail University), you can go right here. I'll admit it, in the past I've been too lazy to monitor and run a private Facebook community for Long Tail Pro. However, with some of the changes that have come with having new partners in the business, we are now able to launch a private Facebook group just for Long Tail Platinum buyers. If you already own Long Tail Platinum, you should have received an email with a link to the private Facebook group already. If not, you can contact our support team. For new buyers, you will receive a link in an email shortly after purchasing to the Facebook community. In the group, we share the latest updates and news for Long Tail Platinum. However, in addition to the tips we share, other Long Tail Platinum users are also there sharing their successes and best practices for using the software. 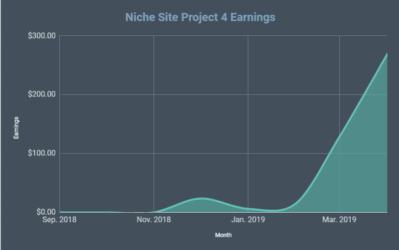 This is a group of like minded website builders that are using Long Tail Platinum and are more than happy to answer questions that you might have along the way. In an effort to simplify and give maximum value to users, we've developed a new pricing structure. (For anyone that has purchased a lifetime plan in the past, these changes do not impact you at all). Instead of offering the Pro version, Platinum version, and a Lifetime Platinum version, we've simplified that to just Platinum. So, when people now buy “Long Tail Pro” they get all the platinum features…everyone is buying the exact same product now. The pricing has also been simplified. Instead of usually paying something like $97 upfront and then $27/mth, it's now just $37/mth. This lowers the upfront cost to start using the software and simplifies everything. There is an annual plan option available for people that don't like monthly payments. (And of course we do entice you to go with the annual plan by throwing in free access to Long Tail University). To check out the new pricing plans and what is included in those plans, view the pricing table here. In the very near future, we will be releasing some architecture upgrades to the software that will make the process of gathering keyword data lightning fast. Long Tail Pro is already known for it's speed when compared to its competitors (watch my video comparison vs. Market Samurai); however, this new update will take the software to a whole other level. This is not a pie in the sky future update that will hopefully happen. This is an update that we are just about done with and will be released soon! I could discuss much more regarding this update; however, for now I will just say that this is a massive update that is going to help you get the data you need to make better decisions…faster! Everyone on the team over at Long Tail Pro has been doing keyword research for a long time. As a result, we've produced a lot of training materials already on installing and using the software (and YouTube channel here). However, we want to go beyond just teaching you how to use the software, we want to teach you the best practices for approaching keyword research and actually performing the most critical steps to finding a winning keyword. Because of this, you will soon start finding an entire library of videos directly in the software. This will allow you to learn as you use the software and hopefully make it much easier for you to find easy to rank for keywords. This update will help you get the skills for not only using the software functions like identifying seed keywords, filtering through keywords, and doing in-depth analysis of the first page of Google; but will also help you understand the mindset and strategies required to build a comprehensive keyword strategy. Be on look out for these in-depth training videos within the software soon. Overall, I'm very excited to share with you what the future of Long Tail Pro is going to look like! We've already made tons of great updates to improve the software, and there are many more to come. The biggest change for me personally of course was bringing new partners into the business…life changing in fact. However, the other updates I mentioned are really going to impact you the user in a great way as we continue to roll out the feature and performance improvements. I know it's hard for me to express in words exactly how big a deal this blog post is for me to write. I know it just looks like 7 updates to a little software business, but these updates really do represent years (5 to be exact) of strategy, planning, investment, hard work, failures, and successes along the way. So, I just want to say thank you to everyone that has been with me throughout this entire journey, and I look forward to welcoming many more of you as part of the Long Tail Pro community. As always, I look forward to responding any questions or thoughts that you may have. Please leave your comments below. Thanks! Are Exact Match Domains REALLY that Important? Wow, Spencer! HUGE congrats on the partial exit. It can be scary bringing on partners but, if you were careful with your selection, I’m sure you’ll compliment each other nicely. Would love to hear more about this deal. Who are the partners? (Silent or public personalities?) How were the negotiations? How did you weigh selling a portion Vs. the entire thing? Why sell a portion at all? In any event, big congrats, man. I knew when you started LTP you were running with a winner. Glad to see this pay off well for you, brother. Thanks Justin! Lots of great questions about the deal. Some of those I would be willing to discuss privately. In the future, I will likely dedicate a full blog post to the deal itself. For now we just wanted to let everyone know that there is a strong business team behind Long Tail Pro and there will be lots of great features coming out. Thanks! These are awesome updates. As a long time user I’m always excited when you guys keep making LTP even better. One quick question I had. For those of us who bought the lifetime package, do we get in Long Tail University too? It seems like that would make sense, but I understand either way. Keep doing what you’re doing. It’s super great. I want to ask the same question. I purchased both Long Tail Classroom and the lifetime LTP and wondered about getting into the new Long Tail University. Even if there is a discount option to get into LTU that would be something since LTC is all but shut down and not being updated. Thanks again for the updates and congrats on the partnership. It’s awesome to see things progress the way that they are for you. Thanks Steve. Go ahead and send a support ticket to longtailpro.com/support to ask about Classroom to University. We’ll see if we can work out some sort of deal. Thanks, epic program and great futures. Thanks Akram, I will be releasing the next call with Samara this week. The next call will answer the on-page keyword questions you brought up. I LOVE Long Tail Pro. Though I purchased it to help launch an online business, as a writer I’ve used the keyword research to help me shape my writing for my own blog and for clients. Great tool. If/when you update again, could you make it possible to SEARCH within results? There have been so many times that I would have loved to have had this option of command + F to find something on the page , rather than continuing to scroll down to see results. Thanks for considering my suggestion. Thanks again for a great product. Awesome, I didn’t realize that. I guess I’m so conditioned to search the “old fashioned way” that when I couldn’t do it in LTP, I assumed it didn’t exist. Thank you again. Congrats on all the progress you’ve been making with LTP Spencer! As a long-time users, it’s awesome to be able to follow the growth of the tool and see all of the features you’ve added over time. I’m sure with your new partners you’ll make LTP even better! Is the Long Tail University also included with the Lifetime Platinum membership? It was not originally included when you purchased Lifetime Platinum, as you may know. 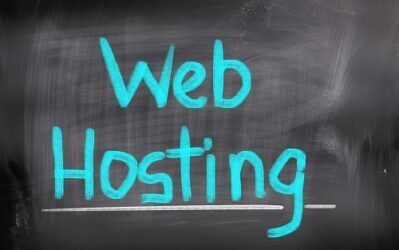 However, we are willing to work out a solution for you if you contact us at: longtailpro.com/support. (All lifetime platinum owners will be getting an email regarding Long Tail University in the next couple of days, so a support ticket is not required). Love it and wanna see it faster with the bulk check. This is the killing feature for me. I have banked 5-digits with LTP. Keep rocking. Those enhancement will help me to hit 6-digit sooner. Thanks! Thanks Kent…the bulk KC is a great feature for sure. Thanks again for all the support! When will there be the facility to use long tail pro with proxy servers or is this something that ia already available? This is amazing news, congratulations Spencer. You have done a great job with this program and I think these are really good progressive moves. Question though, how does this affect lifetime purchasers? Thanks Alain. Lifetime users get all the software updates discussed as usual. Any chance for a mobile app for LTP? I’ve kicked this idea around for a while; it’s still a possibility, but not a priority. I want to know what tony said. i brought lifetime version and want to check out the long tail University too? is this included can we get this?? A very good point I am also seeking. Using 2 research tools and would be glad to read answers for this one as well Spencer. Watch for an email in a couple of days regarding your question. Or contact our support desk at longtailpro.com/support. I bought Longtail Pro for a fixed price and am not a platinum member. What would change for me? Can I still use it without paying monthly? I’m wondering this as well. I don’t use it enough to pay a monthly fee, but I’m hoping I’ll still be able to use it. I’m guessing there won’t be any future updates though? Nothing changes for you. You still have lifetime access to the software without a monthly fee. I have bought lifetime Long Tail Pro subscription and tried one month of Platinum subscription. Is there any way to upgrade my Long Tail Pro to Platinum for lifetime? I completely missed the news that pricing is being updated otherwise I would have bought the lifetime version for sure. Is there anything you could do for me Spencer? Thanks. Well Spencer you’ve kept VERY consistent with the software and it has paid off quite nicely for everyone, including me of course..so big congrats my friend. You got a fan here. I’m here wondering about special pricing for those of us that bought Long Tail Pro years ago and yet, don’t own the keyword score “competitive” score. Would love to use this tool again, would be nice to find out about it by email. Many congrats again mate, you’ve a good follower of your site brother. I’m in love with the bulk kc check feature. It just saves a lot of time. I am with Matthias, I bought the regular LTP but don’t pay the monthly fee. How will this affect me? Will I still be able to use the software I paid for? Same here, but I pay the monthly fee to access the KC features. I’m not sure if this means I will have to pay $37 per month or the software will stop working? From his description it sounds like the pro version is dead. Yes. Nothing changes for lifetime users. You will always have access. Great news – super excited. Love this product, and it only keeps getting better! The bulk keyword analysis function sounds awesome! However, how do you get around the Captcha requests that pop up? I have only experienced this problem when using the rank checker feature. But not during bulk KC. Great software which is easy to use and gives a lot of valuable information to build a site or business with it. Hope this new updates will come ASAP!! Great stuff. I have LTP lifetime access. Do we not get access to the University bit too? It’s so nice to see how your business is growing and evolving. In the end, we — users — feel LTP like something ours too. Afterall, it is our favorite keyword research tool and we’ve been watching grow over the years! Great news on the software updates too! P.S. : I’m actually writing a in-depth keyword research guide which will have, obviously, an entire chapter solely dedicated to Long Tail Pro (and how to find great keywords with it). Great to hear, thanks Louie! Hi, I just reinstalled my Platinum two days ago but still have to click each time to get the KC number. Is there an update I need to download? Thanks–it works great, I didn’t realize you had to click on the thing on the corner. Watched the video and now I get it. Great to hear, thanks Cesar! Congratulations, Spencer! What an exciting achievement! Thanks for a great program (that I am slowly learning) and thank you for your authenticity and generosity. What will these changes mean to me? I have LT Platinum and I am enrolled in the LT University. Will I be able to use the newest updates as they release or will I have to commit to a monthly or yearly subscription in order to take advantage of them? Thank you! Thanks Michael! Anyone that has purchase a lifetime platinum plan will continue to get all the updates. If we currently pay for LTP platinum are we still able to pay for this at the lower rate? Also, if we un-subscribe will we be able to resubscribe at the lower rate? If you unsubscribe, you can always resubscribe at the current rates. Great software but too expensive for me. Keep up the good work. This is so exciting. I am extremely happy for you and of course for us. Thank you for caring about us enough to do this. 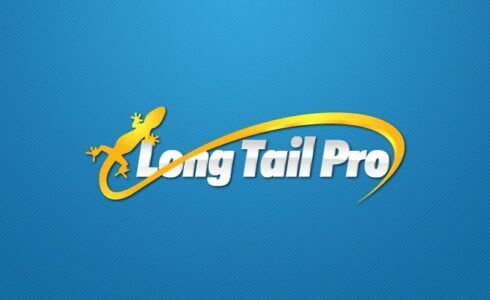 I have been a member of the group for about two years, and I own the original version of Long Tail Pro. I bought it with lifetime membership and upgrades, but didn’t have the monthly fees. Can you please let me know how the people who wish to continue using LTP without upgrading to a monthly fee will be supported? You will continue to get all the updates if you are a lifetime buyer; you don’t have to do anything. Just open the software and get the updates whenever there is any (just like always). Hi, I have Long Tail Pro from before without the monthly subscription (just the purchase version flat fee). Does this mean that I can’t use the software as it is anymore and to do so need to get a monthly subscription? I’d really like to continue using it as is. I don’t really need keyword competition and the other features which is why I never upgraded to platinum. Hope you can clarify what this means for users like me. You will continue to get updates to Long Tail Pro as usual if you bought previously. You don’t need to do anything different. Glad to hear the good news, Spencer…for you and your family personally, and for Long Tail Pro. You certainly deserve it. Long Tail Pro is a great product for keyword research and Long Tail University is great training to go with it. And while I’m standing here on my soapbox… I also want to compliment you on letting us ride along on all the Nichepursuits’ projects with you, Jake and Perrin. This takes Long Tail Pro to an even higher level. Along with LTU, the projects are for me, one of the most effective training methods offered in your field of expertise. Plus they are totally “transparent”. You get to see everything, both the art and science of keyword research and how to actually apply what one discovers in the process. Thanks for the great work and great software. Thanks so much for the kind words Gary! Thanks for going on the “ride”. I am a little frustrated. I have been gathering money together to buy Long Tail Platinum. The purchase was just around the corner and now it is something I have to keep paying for yearly. I feel like the late bird who missed the worm. Looks like you are improving the high price Long Tail Pro. I have the basic program I bought several years ago. Will there be improvements to that software? Yes, the basic version will continue to be supported and updated to keep it working as usual. Congratulations Spencer, Longtail always best keywords research tools. I have little query about an offer about 70% off longtail pro, one of my friend want to take this offer but he is not sure that is it with all feature ,specially keywords competition? This sounds like an old offer that isn’t active any more. That offer did not have keyword competition. Great to see time and energy being put back in to LTP, after being a long-term user of LTP since the beginning, I then stopped using it several years ago due to the fact that it was not very user friendly (it kept crashing) it’s improved a lot since then, however I would still like to see more time being invested in to the framework to create a more stable program, as it is still a little fragile, crashes daily still for me. Not long ago, I purchased LTP and tried to activate it but it kept coming up with database connection errors or something. And I’m sure the support guys can search for my email about this problem. Not sure if this update solved it because I really want to get access to your tool. If you are still having issues, please file a support ticket. Big congrats Spencer!!! Thank you for LTP and always sharing what you know. It’s been a blessing to me and my family. LTP is already a game changer as we are using this from last 3 years. But with such awesome updates, it’s going to become unbeatable. I am already in the VIP group and getting a lot of information from the awesome experts. I purchased LongTail Platnum Lifetime. Already will I get access to Longtail University and any new versions? Just a quick question, will regular Long Tail Pro users (who didn’t buy platinum) now have access to the Keyword Competitiveness feature? 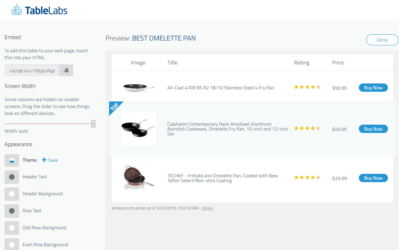 i used long tail platinum and yes its really great…. Hey Spencer, how about previous customers that has been paying $17/m for the platinum version? Do we now have to pay $37/m? Nope. As long as you are subscribed at $17/mth that’s all you will ever have to pay…and still get all the updates. As a Lifetime Platinum Member and a Long Tail University student, I’m really looking forward to all the improvements in the software that you guys have planned for us… and I might add that the software is awesome even before all those improvements. Liking the KW feature. just wondering when I will be able to access long tail uni? That depends on your product. 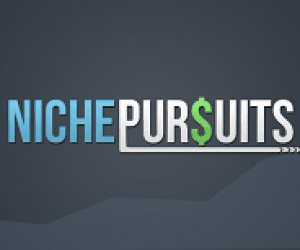 I am starting out my niche site project and wanted to purchase LONG tail pro. But when I googled there are many version and packages that come in searches. Can you tell me the latest version, the cost per month, per year and life time version? and will I be getting all updates as well? A fried told me it was available for 17usd per month, but now I cant see any of such options…also if we buy a yearly plan of 352 usd, will it be a yearly recurring cost or a one time payment with all future updates? 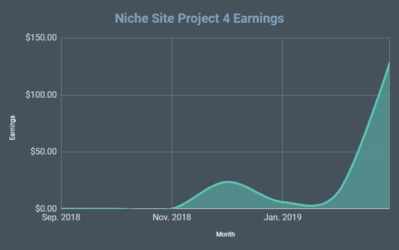 As an early adopter and user of your Long Tail pro Developer pkg, I find your updates along with the on-going Niche Site Project 3.0 series (with the three great students) outstanding! … Thanks for these powerful insights ! However, I’d like to further call your attention to a matter of my (grandfathered) Platinum service. My Platinum quit working last quarter of 2015 and I’ve attempted over the past several months to rectify this situation with my support ticket #607380, yet, continue to struggle with getting it properly working again. Looking forward to getting my Platinum working is full-swing soon. Thanks for your immediate attention to my aforementioned matter and I continue to look forward to your very expansive and powerful program! Im certain your support ticket has been responded to. If you are still not getting responses, please file a new support ticket…they usually respond within 24 hours at most. Obviously this blog here is not a support forum (which is why it took my 5 days to see this comment). Congrats on the sale of a portion of your equity. Can’t fault you there at all, you put a lot of hard work to get things where they are today and the latest updates are excellent. I have to say though, I’m a bit surprised and disappointed with the new pricing. Luckily, I have Lifetime Platinum access personally and many folks in my audience took advantage of that special when it was available also, but I think for new folks just starting, it will be cost prohibitive. LTP used to be supercool, but lately I get blocked by Google with captcha all the time, even if i do not use the bulk KC or all in title. How to avoid this? so now you have to manual input, not copy paste, i mean, copy paste function is not work anymore! After reading this excellent article will definitely be using long tail pro in near future. For time being Adwords planner also provides me with good information about keywords to be included in posts. @Spencer- I have a suggestion for LongTail Pro. It will be good if there is any separate option for PPC where PPC terms will be added. Like Ad Copies, ads performing for how many days, spy tool to figure out winning PPC campaigns and so on…. I do a lot of searching on my computer and continually get hit with the too many requests captcha box from Google. Will LTP still work on my computer? How are you beating that and will that affect my computer? If I’m using LTP and the captcha box comes up, will LTP show it to me so I can click it? Recently having an issue with LTP not recognizing my subscription – KC is disabled and when I click on it a “Verify Subscription” button pops up but when you click on it nothing happens! The LTP software gives you no option to enter in your subscription information. I have followed the suggestions on FAQ/Troubleshooting without any luck – also submitted a ticket as well. Uninstalled and reinstalled the software without any luck as well. Not sure if other are having this issue so I thought I would post here.